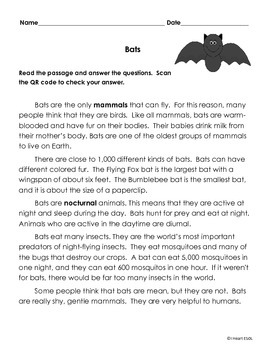 Reading passage-“Bats” with 6 questions on cards with QR codes included. 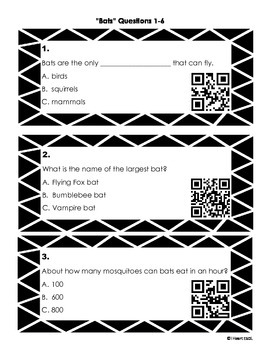 Reading passage- “Echolocation” with 6 questions on cards with QR codes included. Students will read the passage. They will use the question cards to answer the questions on the recording sheet. 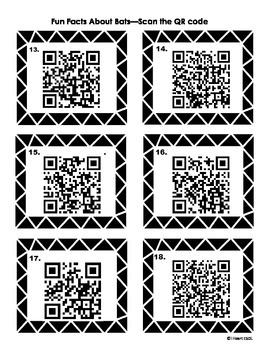 Then they can scan the QR code on the question cards to check their answers. Students will need an electronic device with a QR code reader to scan the QR code. 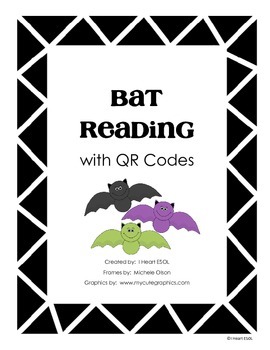 18 QR code cards- students will scan the QR code and it will tell them an interesting fact about bat. Facts are included on separate sheet. These activities can be used in a small group, in a reading or science center, or as independent or partner work.